The Seabury Hall baseball team ran its Maui Interscholastic League record to 5-0 with a 12-2, six-inning win over St. Anthony on Saturday at Maehara Stadium in Wailuku. Twin brothers Ben and Kenny Belew combined on a six-hitter on the mound for the Spartans, who piled up 14 hits. Ben Belew led the hit parade with a 3-for-4 day that included three runs and an RBI. Jake Gage was 2-for-2 with a run and pitched five innings for St. Anthony (0-5). Bubba Chuckas, Chris Neilson and Chris Barona all smacked doubles for the Trojans. At Maehara Stadium, Na Alii bounced out to a 5-0 lead through four innings and then held on for the win to complete the sweep. Ty Otani, T.J. Perkett and Jaxon Holl combined on an eight-hitter on the mound for Na Alii (3-6). The Lunas (0-9) pulled off a triple play to get out of a jam in the fourth inning after two runs had scored. Ben Belew, Kenny Belew (4) and Kenny Belew, Jack Almeida (4); Jake Gage, Bubba Chuckas (6) and Riley Ambrose. W–Ben Belew. L–Gage. 2B–St. Anthony: Chuckas, Chris Neilson, Chris Barona. Leading hitters–Seabury Hall: Jacob Luther 2-4, 2 runs; Kenny Belew 2-4, run, 2 RBIs; Ben Belew 3-4, 3 runs, RBI; Kapena Hoopai 2-5, run. St. Anthony: Gage 2-2, run. Ty Otani, T.J. Perkett (5), Jaxon Holl (6) and Koa Hashimoto; Ben Zeigler, Raige Bush (7) and Koapaka Purdy. 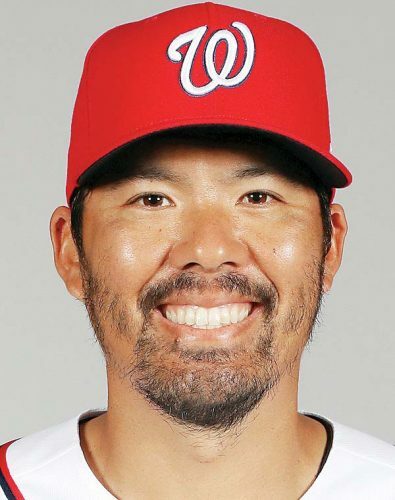 W–Otani. L–Zeigler. 2B–Lahainaluna: Kamahao Acpal. 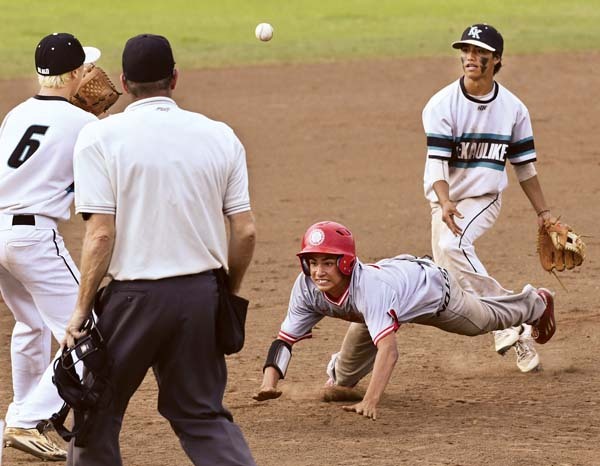 Leading hitters–King Kekaulike: Kai Gumtang 2-4, run, RBI. Lahainaluna: James Smythe 2-3, run; Mason Arruda 2-3, run, RBI.